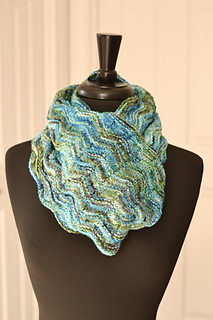 Peaks and valleys are prominent in the Glacier Park Cowl and inspired by the beauty of Glacier National Park’s high mountains and beautiful lakes, rivers and streams. 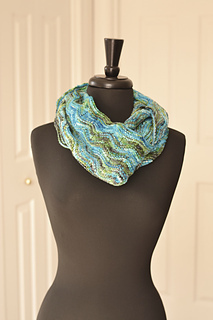 Worked up in a worsted weight yarn, this piece is quick to knit. Whether you wrap it around your neck or drape it across your shoulders, you’ll be reaching for it time and time again.